1) The 3rd Annual Toronto Cider Festival takes place on Saturday with 70+ ciders from 28 producers. 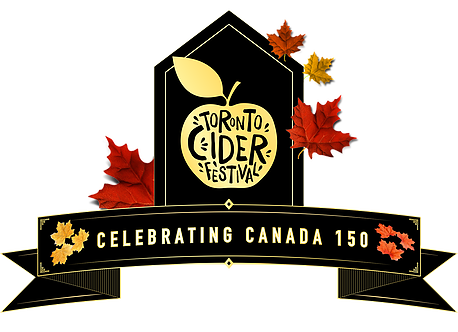 Learn more at Toronto Cider Festival celebrates Canada’s 150th birthday from Wines In Niagara. 2) “But the question will always be, ‘When is it not cider anymore? '” John Reynolds of Blackduck Cidery and other cidermakers share their views in Cider Moves Beyond the Apple at The New York Times. 3) Modern Cider: Simple Recipes to Make Your Own Ciders, Perries, Cysers, Shrubs, Fruit Wines, Vinegars, and More by Emma Christensen—author of the successful True Brews—was released this week by Ten Speed Press. 4) Cider Chat interviews Brad Glover of Swilled Dog Hard Cider. And Beer Sessions Radio interviews Diane Flynt of Foggy Ridge Cider. 6) The Ciderologist hops aboard the Trans Europe (Cider) Express and discusses The Craft of Cider in the UK. 7) Burrow Hill Cider wins top prize at the Somerset Cider Championships for its bottle-fermented Stoke Red single-variety cider. Burrow Hill was also awarded the Bob Cork Perpetual Trophy as the best Somerset cider producer. 8) Mosterei Kobelt in Marbach, Switzerland celebrates its 111th Anniversary this weekend. And the 26th Annual Fiesta de la Sidra Natural comes to a close in Gijón, Asturias (check out the video and pictures from the cider pouring competition). 9) On tap stateside: Seattle Cider Company’s Fourth Anniversary Celebration; Story Tavern’s Cider Festival in Burbank, California; the Colorado Cider & Beer Circus in Frisco; Cider Dayze in Armada, Michigan; and the Vermont Cider Classic in Burlington. 10) Along Came a Cider reviews Liberty Ciderworks Manchurian Crabapple. Cider Says reviews Urban Tree Classic, Urban Tree Barrel-Aged, Urban Tree Original, and Newton Court Gasping Goose Organic Cider. I Think About Cider reviews Once Upon A Tree Kingston Redstreak 2014. Sipology reviews Vander Mill Hard Apple. A Cider Makers Journey reviews BlackBird Cider Works Estate Reserve Semi-Dry. CiderScene shares a Washington Cider Week Preview. The Milled Apple reviews Urban Farm Fermentory Hopped Cidah, Far From the Tree Cider Makers’ Series: Pete 001, and Bantam Buzzwig. Cider Society reviews Hudson Valley Farmhouse Cider God Speed the Plough, Bembel With Care Apfelwein Kirsch, and Nine Pin Peach Tea. The Cider Drinker reviews Celtic Marches Cracklin’ Rosie Perry. And Cider Explorer wonders Why cider from overseas is easier​ to get in Berlin than European cider? and reviews Bereziartua Sidra Natural, Westons Cider for Marks & Spencer, and Christian Drouin Comte Louis de Lauriston Cidre Brut.